This adjustable bracelet is called "Capri" with its Capri blue Swarovski crystal focal bead and large 8mm Czech crystal and aqua glass beads. The smaller 6mm beads are round Czech Capri Blue glass beads and the counter marker has 6mm Capri blue Swarovski crystal bicones. All metal beads and findings are either solid sterling silver or silver plated. 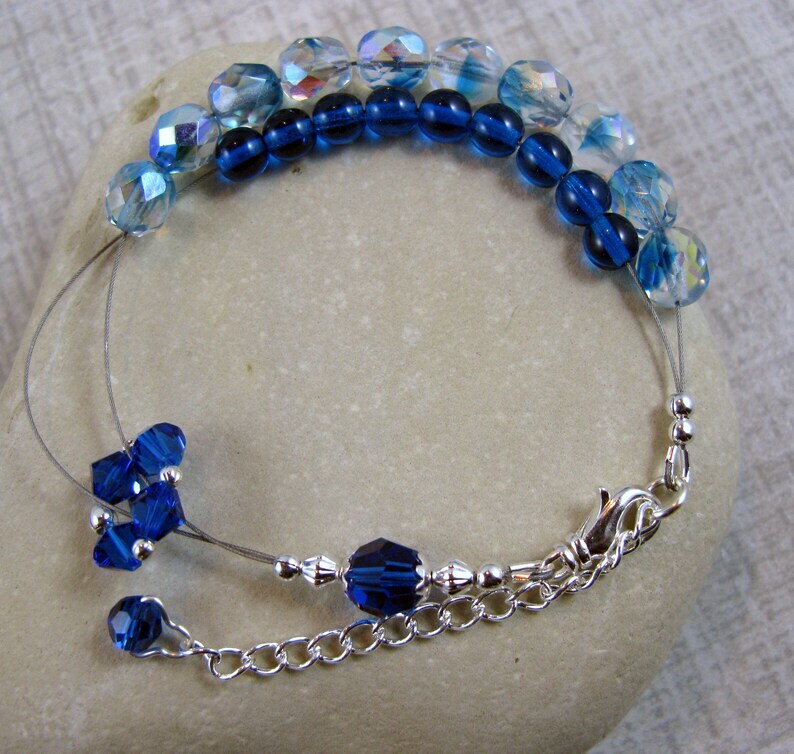 The bracelet measures out to 7-3/8" (your bracelet should measure about 1 inch longer than your wrist so that you are able to use the beads properly) and comes with a 2 inch chain so you can adjust the bracelet to your desired length up to about 9-3/8 inches. Beautiful and functional as always. I think this is the 4th one I've purchased because they look good and work so well that it's can't hurt to have more than one. It arrived speedily and in great shape. Thank you! This was going to be a gift, but I am keeping it!